Fostering communication between you and your customers is one of the best strategies that you can make to improve your relationship with them. Doing this can help increase your conversions, as well as encourage loyalty to your brand. One of the ways to promote communication is by offering live chat functionality on your site. This helps make it easier for your customers to reach out to you without the hassle of having to call, send an email, or just having them fill out a contact form and have them wait for feedback. But do you know that you can actually embed Facebook Messenger on your WordPress site to serve as the live chat? This guide will help you do that. 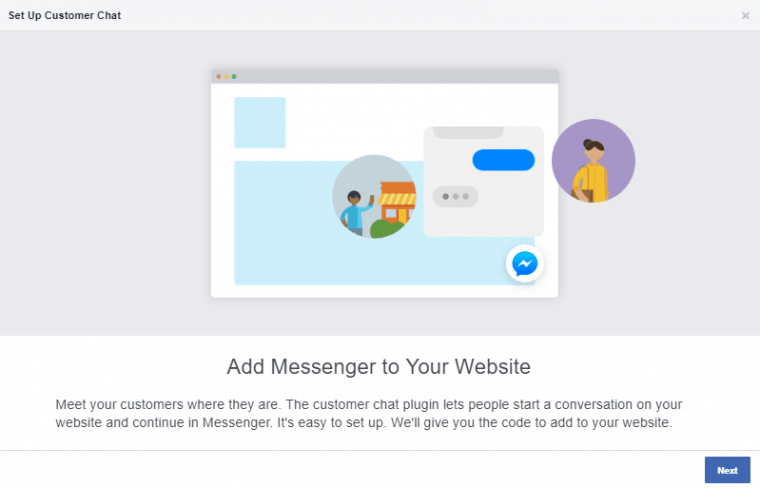 Among all live #chat tools available, what makes #Facebook #Messenger different, and why should you input it on your #site? While there are many options for you to take for your live chat, Facebook Messenger Chat is a particularly great option because we cannot deny that Facebook has a special place in our lives today. It is expected to be almost anywhere – even in your site. But what’s really important that while other live chat options allow your customers to connect to you, Facebook Messenger can help you connect to your customers. This is because Facebook Messenger will enable you to be connected with them through the Messenger app after their initial chat with you. Your reply would be coursed through the messenger, and you will be able to retain your connection as opposed to how the same would end with other live chat tools. Once you are connected through Facebook Messenger, you will be able to push your other marketing strategies to your customers. This can help you drive traffic to and from your Facebook page, allowing your platforms to work in harmony towards a common goal. Indeed, there’s a huge difference in choosing Facebook Messenger as your live chat tool for your site. So it’s now time for you to install it on your WordPress site. Before anything else, to make this whole thing work for you, you should have an official Facebook page that you can use to connect to the live chat plugin. Not only will this allow you to authenticate your live chat, but would also let you make use of Facebook marketing strategies. If you have an official page for your brand, then you are ready to go. The first step that you should take in installing Facebook Messenger Chat on your site is to install the Facebook Messenger Customer Chat Plugin. To do this, to go to the WordPress Admin area, and then choose Plugins, then select Add New. 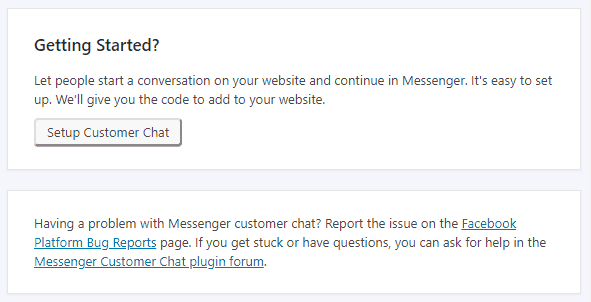 Look for the Messenger Customer Chat from the collection, and then click on the Install Now button. To ensure that you get the right plugin, you can search by Author and key in Facebook. Then you will be able to find official plugins from the social networking giant. Look for the Messenger Customer Chat then install it. After you have installed the plugin, you will be able to see Customer Chat in your menu, and it will carry the Facebook Messenger icon. Click on it, and you will be taken to its setup page. Select the option to Setup Customer Chat. After doing that, a pop-up window will appear, asking you to connect your Facebook page. 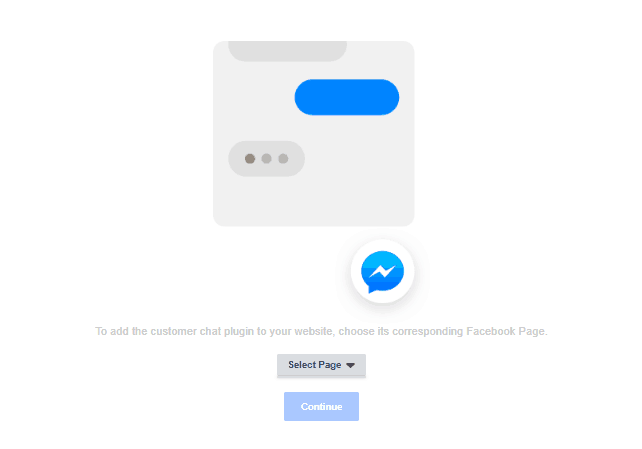 Connect your brand’s official page, and this will be used for the Messenger Customer Chat. After you have connected your page, click on next so you can move on to the next step. You will then be given the option to choose what language will be shown on your Messenger Chat on your WordPress site. You will also be able to set up the greeting message. Come up with a welcoming greeting. You are also required to show your usual response time so your customers can set their expectations as to how long to wait before you give feedback on their queries or concerns. After that, setting all these up, click on done and you are ready to go. You would be able to change your greeting message later on by going back to the setup page. You would not need to go through the whole setup process anymore. Facebook Messenger Customer Chat is indeed a great live chat tool that you can use foster communication with your customers. It carries a lot of benefits that other options do not have. If you find merits in these benefits, then you should install the Messenger Customer Chat on your WordPress site now. Just follow the steps above, and you are ready to go. Published on November 29, 2018 by Kevin Urrutia; modified on November 28, 2018. Filed under: facebook messenger, live-chat, WordPress. Kevin Urrutia is the founder of Voy Media, a Facebook Advertising Company based in New York. Voy Media believes in the power of Facebook advertising in helping businesses to boost their sales and improve their conversions. Voy Media aids businesses to push the right message to the right audience in order to deliver the right outcomes.